Mmm, Mendoza. It’s one of the only places where it’s acceptable to drink before 10AM each morning. The city prides itself on the friendly locals, its prime location at the foothills of the Andes, and don’t even get me started on its sunsets. What more could you want in a place? Well, for starters, it’s one of those destinations you can visit year-round, always in season, always calling my name to book a plane ticket. I’ve visited the expansive wine country during every time of year. I’ve seen fire and I’ve seen rain. I’ve seen sunny days that I thought would never end. With each season comes a different charm that can be appreciated by all, except maybe non-wine lovers. If beer is more your thing, head to Germany and leave more vino for me. Life moves at a slower pace here, which I can appreciate. Lunches may take up to three hours at any given winery. Many bottles later, you’ll be well past tipsy and ready to be horizontal, but you must keep pushing on. With so many wineries to see and so little time, you’ll need to get strategic in your wine-to-food absorption ratios. Bread and meat are typically great choices for this, just make sure you have some personal trainer sessions lined up after the vacay. I’ve done the “hard” work for you and sipped many-a-bottle at various wineries in Mendoza. So go on. 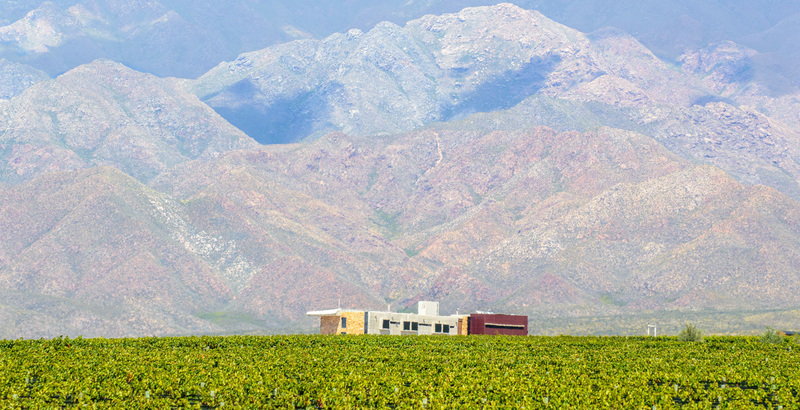 Sip, savor, and repeat as you make a splash into Argentina wine county. Overshadowed by the wine-tasting activities throughout the region, many alternate outdoor activities exist in the city, unbeknownst to many visitors. River raft in Potrerillos: Locals and visitors flock here during the summer to bask in the sun, sand dunes and river rafting. I, however, visited during winter and the scenery is just as beautiful. Hang glide over the city: Not for the faint of heart, but definitely for great views and sheer exhilaration along the Andes Mountains. Visit olive groves for olive oil tastings: The other pride of Mendoza is the city’s olive products. For those who enjoy wine tourism, a parallel but far less commercialized industry lies in the olive groves. Fly-fish the streams: I took a two hour ride on horseback through the Andes to reach a stream for my first fly-fishing experience. I didn’t catch anything, but it was a good day’s worth of detoxing! Explore the city: Mendoza City is full of activity. Stroll the many plazas by day and experience the bars by night. Experience a traveling dinner on horseback at Casa de Uco: I was beyond excited to ride horses in Mendoza again ever since I fell in love with them just a year and a half prior in the same region. I picked Hidalgo who stood out in the bunch, and not just because he was a horse of a different color. He went fast. I’m talking galloped the entire way. Walking wasn’t in his agenda, and that was fine by me. The idea was to ride to four different stations throughout the vineyard to eat four different courses. You basically haven’t lived until you’ve experienced a traveling-horseback-dinner. Seriously. Station #1: A delectable ceviche made by resident Chef Pablo Torres, paired with a Mendoza Torrontes. Station #2: A salad complete with pinot noir grapes and chicken cooked in a smoker while firewood and rosemary burned below, and paired with pinot noir, of course. Station #3: Sweetbreads and potatoes paired with Malbec. I don’t usually dabble in sweetbreads, but these were too good to pass up. Station #4: Sweets back at Casa de Uco paired with dessert wine! The 16 rooms at Casa de Uco have a dreamy view of the Andes Mountains, perfect for an extended weekend getaway. Casa de Uco’s hotel division is in its fourth month of operations, but unlike its fine wine, the hotel doesn’t need age to improve a thing. Scenes of giant open living rooms, oversized chairs looking out to the vineyards and a pristine swimming pool + jacuzzi keep running through my mind from my recent visit here. Guess I’ll just have to book my 5th trip back to Mendoza soon. LAN Airlines offers many flights per day to Mendoza from Buenos Aires. With an hour and a half flight time, you’ll have plenty of opportunities to get acquainted with the Malbecs of Mendoza while high in the sky. 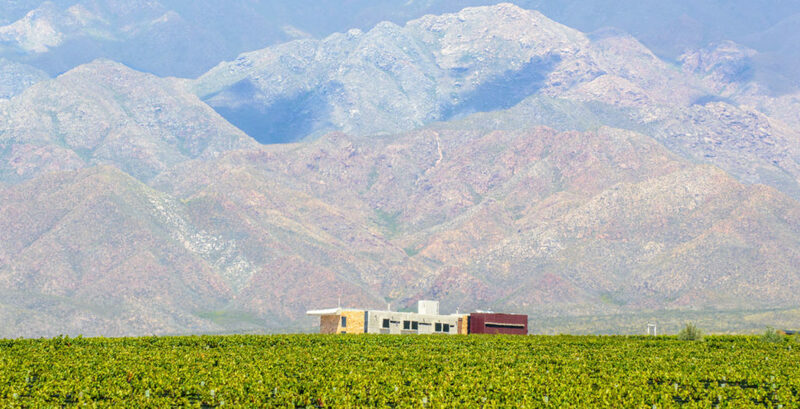 The Greater Mendoza region is expansive with many different regions to visit. My favorite is Uco Valley, an hour and a half drive south from the airport.